I recently picked up this mascara which I have been wanting to try for ages! Here in the UK, Too faced is quite difficult to spot on the high street but I recently went to Debenhams and saw this and knew I had to get it. I love the packaging, it's in a beautiful pinky metal case which feels quite luxurious as it is quite weighty, which I like. I'm not so sure about the name but here is what the mascara can do! As you can see there is a dramatic difference in my lashes. I love that the brush is not plastic and it coated my lashes really well. 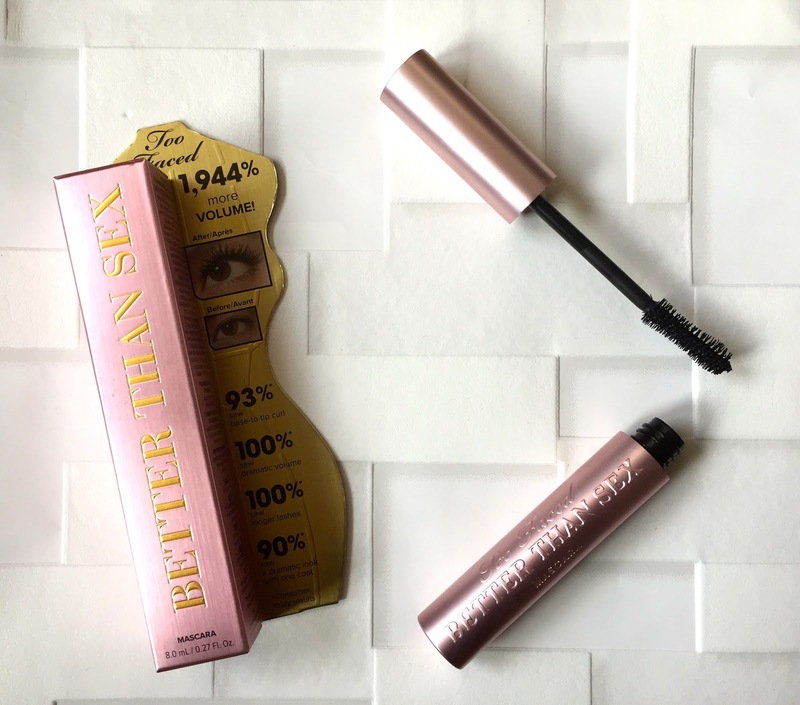 I do like the benefit mascaras but find that they are too wet when I first purchase them. This mascara is perfect from the beginning. It held a curl well and lasted all day without any fall down. I also found it easy to remove with a micellar cleansing water. I definitely recommend trying this if you can find it. You can purchase it online with a mini and full size version at debenhams here for £19! I love it when brushes aren't plastic, Benefit mascaras do wonders but I do find it a bit too wet as well. I've never heard of this one so I need to check it out. Thanks for sharing your purchase! Happy December! // I'm doing a BLOGMAS feel free to have a read! Laura Mercier caviar stick drug store dupe alert! © I Hart beauty | All rights reserved.